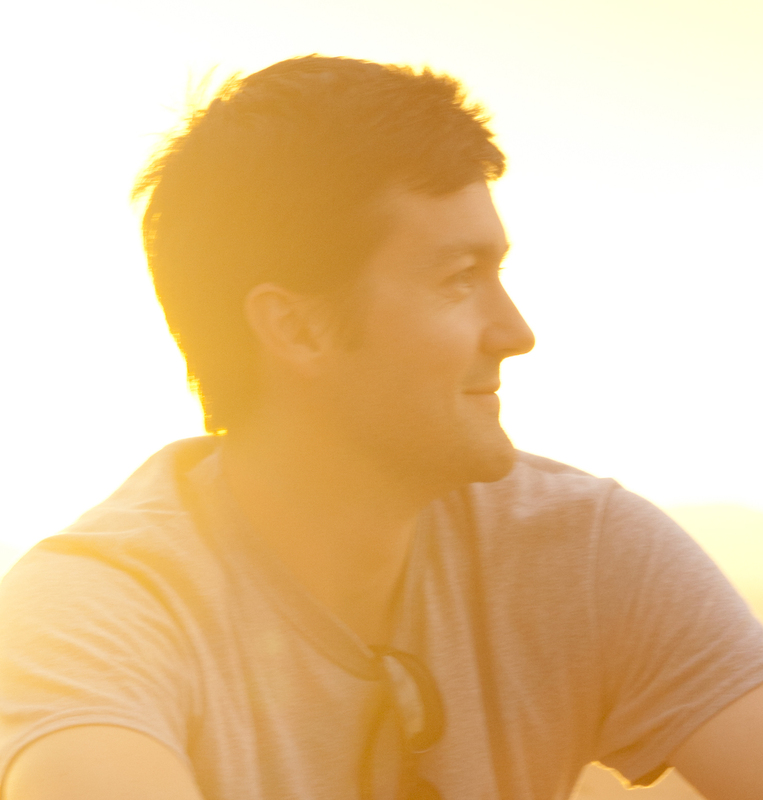 As many of you may know, in addition to being an Expedition Leader, I head up the Sustainability and Conservation Travel programs at Natural Habitat Adventures. Thus, this special story really is near and dear to my heart. It’s not just about the amazing sights and photos I was lucky enough to capture this past week, but also about the incredible rise in monarch butterfly numbers from last year to this year. 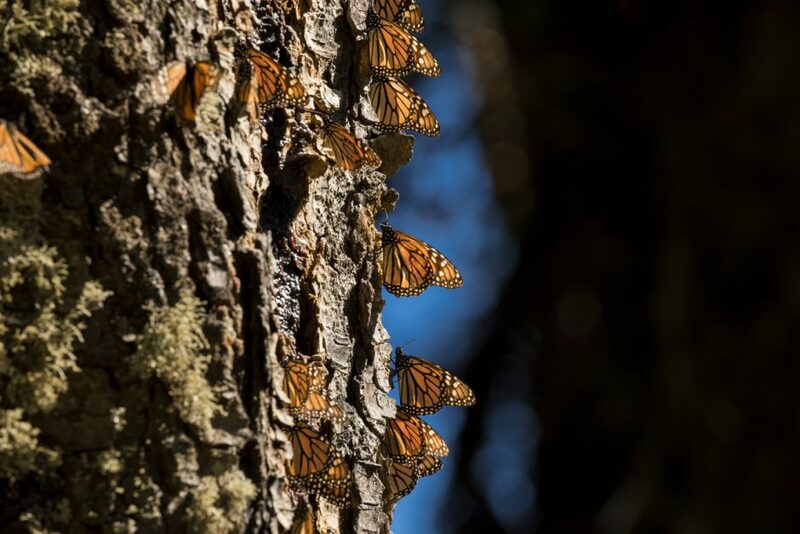 To step back for a moment, the monarch butterfly migration has been in a steady state of decline over the past decade. While there were small increases here and there, the general trend is that the size of the overwintering colonies and overall butterfly numbers is decreasing over time. However, the scene became quickly obvious when we arrived at our first monarch butterfly colony of El Rosario on Jan 29th, 2019. The colony seemed to be doing very well and was extraordinary in size. 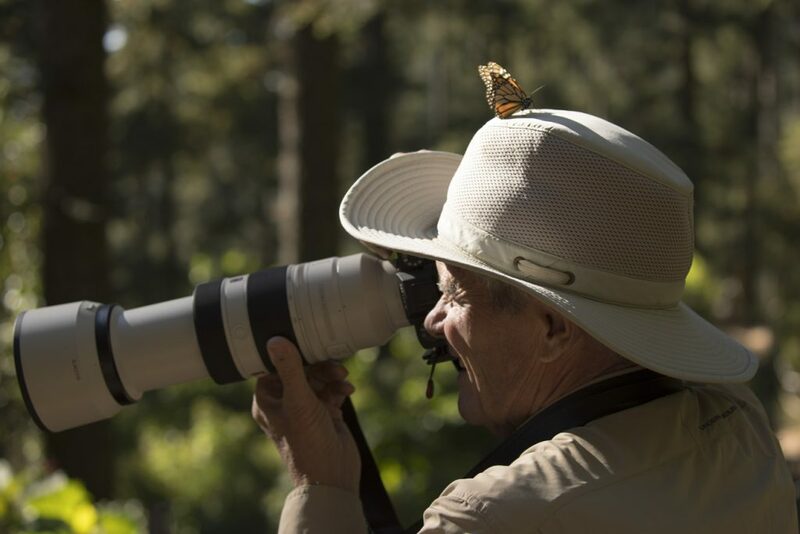 Having guided eager photographers and nature-lovers for 16 years now to the monarch colonies in Mexico, I knew we were seeing something special. Although difficult to measure, there was something about it that looked significantly larger than I’ve seen in recent years. 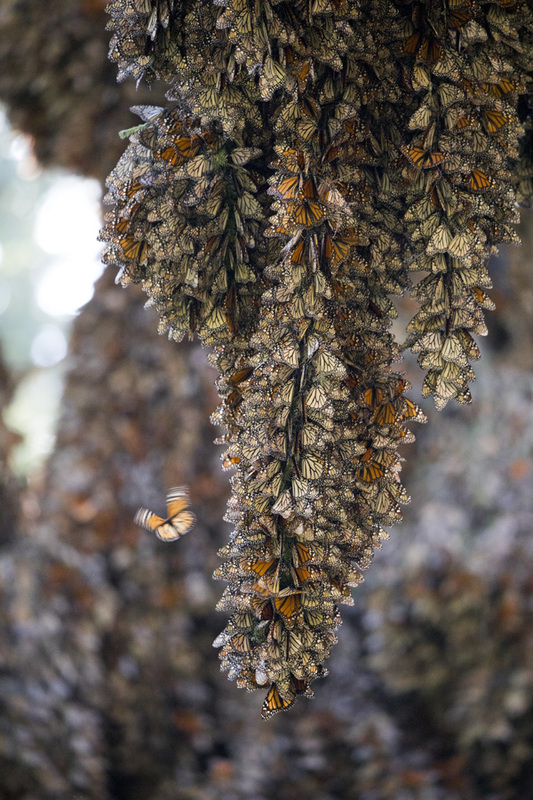 The monarchs were everywhere…clinging to branches, nectar-feeding on surrounding flowers, and soaring through the air. I’ve certainly seen my fair share of wonderful sights here within the monarch groves of Mexico over the years, but this time was different. There were just so, so many, and in such close proximity to the trails and viewpoints…something that I’ve not seen in many years. Could this mean that the population is larger? Perhaps, and it’s no doubt what we all hope for as conservation biologists. 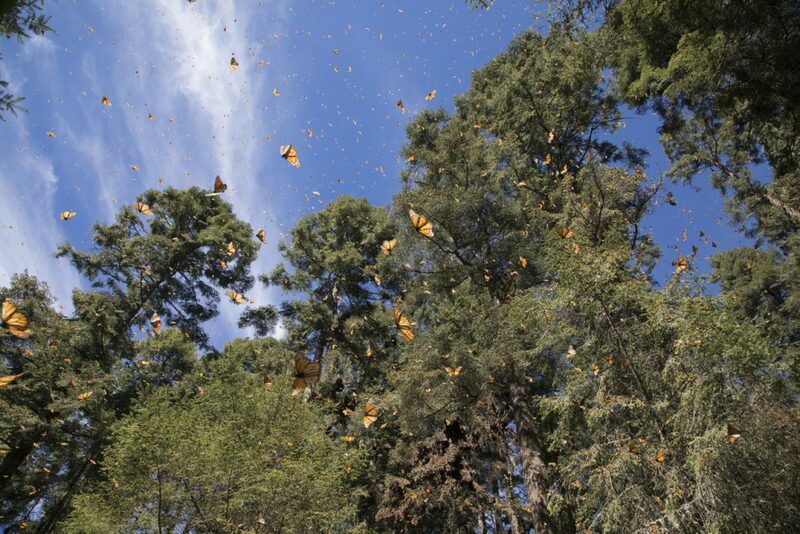 However, we also know that El Rosario is just one of at least 12 colony sites for monarchs each winter in Mexico. What about the rest? 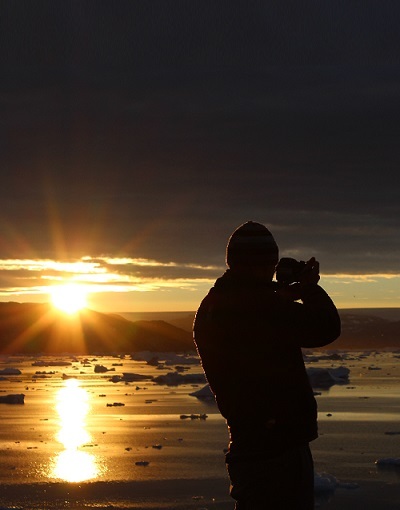 On the fourth day of the trip, the news broke from our partners at World Wildlife Fund. The monarch overwintering colonies have grown by 144% since last year. AMAZING! 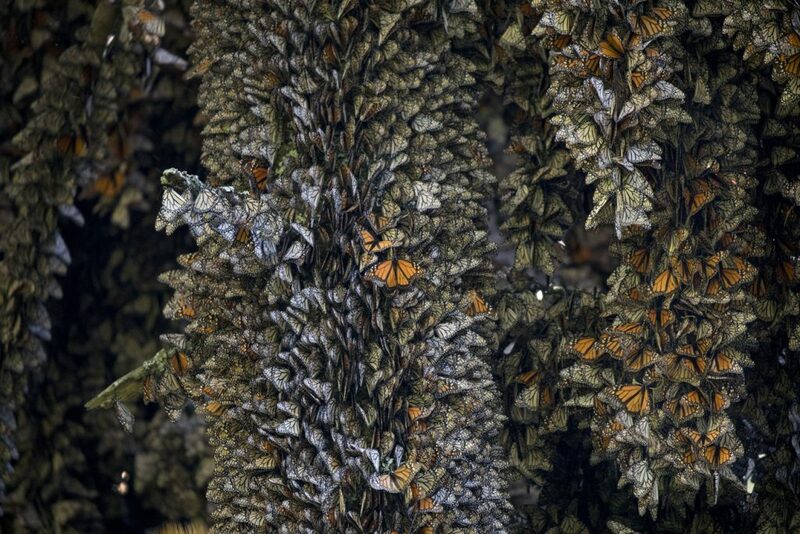 Not only was this extraordinary news, but to be here in the highlands of Mexico, guiding a Monarch Migration Photo Adventure, was just sublime. Needless to say, when I told the group we were ecstatic. One of the things I aim to do with each of my conservation travel adventures is to create new ambassadors of inspired individuals. Seeing their reaction, upon hearing that the monarchs more than doubled since last year, solidified this feeling. Their enthusiasm is my enthusiasm, and vice versa. There are so many people around North America that have had a key role in this conservation victory, from scientists, to backyard gardeners, to conservation travelers like ours with Natural Habitat Adventures. 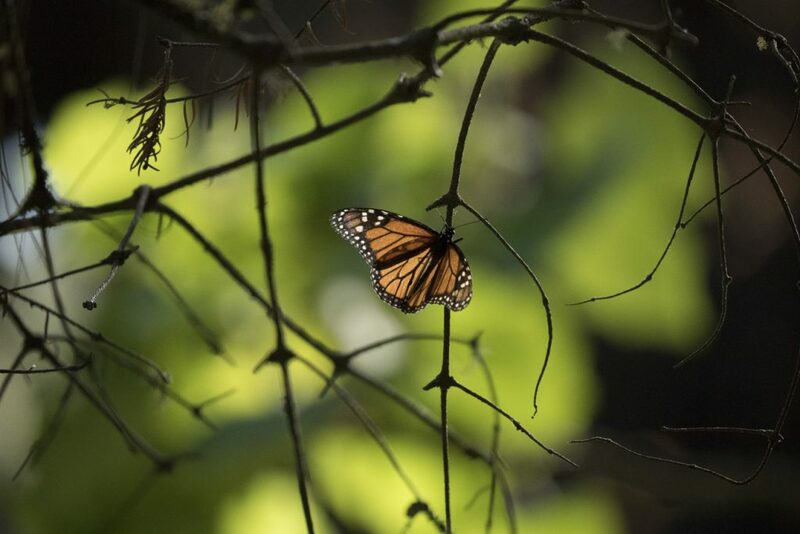 And our group of adventure travelers felt that connection, knowing our visitation is helping to create value for the monarch and its habitat, playing a critical part in long-term protection. 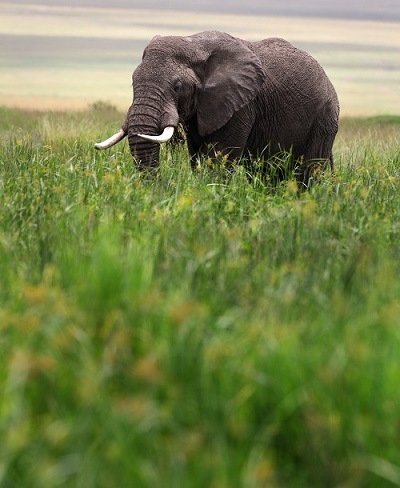 Of course when it comes to conservation, one victory doesn’t mean the battle has ended. We must continue our quest to raise awareness, create advocacy, and participate in conservation measures if we’re to ensure the long-term survival of this amazing migration phenomenon. But for now, let us enjoy this conservation victory and appreciate the sensational monarch and its alluring annual migration. February 3, 2019 By Court Whelan, Ph.D.
Photo Jargon – What is a “Fast” Lens? Such wonderful news, 144% increase! I like to think that I helped with my native gardens here in Detroit Lakes, MN. Had the most monarchs this past summer in several years. Have a lot of milkweed plants, Joe Pye Weed, and other bee loving plants as well. Hope to do one of these monarch trips to Mexico in the future. Thanks for sharing your story. I’m sure this did help, Ruth! It’s folks like you that are making the difference. Thanks for your support!! !